A large number of primary oil and gas reservoirs have been discovered in Proterozoic strata all over the globe. Proterozoic sequences are widely distributed in China, and the discovery of large Sinian-aged gas reservoirs in the Sichuan Basin and Mesoproterozoic liquid oil seepages in North China shows that attention should be paid to the exploration potential of Proterozoic strata. In this paper, the main controlling factors of Proterozoic source rocks are discussed. Principally, active atmospheric circulation and astronomical cycles may have driven intense upwelling and runoff to provide nutrients; oxygenated oceanic surface waters could have provided suitable environments for the organisms to thrive; volcanic activity and terrestrial weathering caused by continental break-up would have injected large amounts of nutrients into the ocean, leading to persistent blooms of marine organisms; and extensive anoxic deep waters may have created ideal conditions for the preservation of organic matter. Additionally, the appearance of eukaryotes resulted in diversified hydrocarbon parent material, which effectively improved the generation potential for oil and gas. Through the comparison of Formations across different cratons, seven sets of Proterozoic organic-rich source rocks have been recognized in China, which mainly developed during interglacial periods and are also comparable worldwide. The Hongshuizhuang and Xiamaling Formations in North China have already been identified previously as Mesoproterozoic source rocks. The early Proterozoic Changchengian System is highly promising as a potential source rock in the Ordos Basin. In the Upper Yangtze area, the Neoproterozoic Datangpo and Doushantuo Formations are extensively distributed, and represent the major source rocks for Sinian gas reservoirs in the Sichuan Basin. 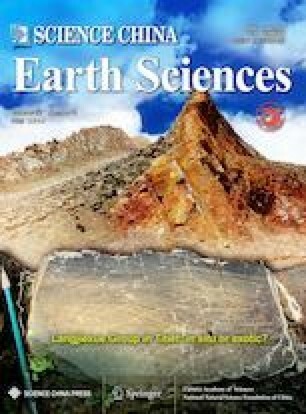 Moreover, the Nanhuan System may contain abundant shales with high organic matter contents in the Tarim Basin, although this possibility still needs to be verified. Indeed, all three cratons may contain source rocks of Proterozoic strata; thus, these strata represent major exploration targets worthy of great attention. We thank Professor Donald E. Canfield from University of Southern Denmark for constructive suggestions in paper writing. This work was supported by the National Key Research and Development Program of China (Grant No. 2017YFC0603101), National Science and Technology Major Project of the Ministry of Science and Technology of China (Grant No. 2016ZX05004001), National Natural Science Foundation of China (Grant Nos. 41530317, 41602144), Strategic Priority Research Program of the Chinese Academy of Sciences (Grant No. XDA14010101), and Scientific Research and Technological Development Project of CNPC(Grant No. 2016A-0200).